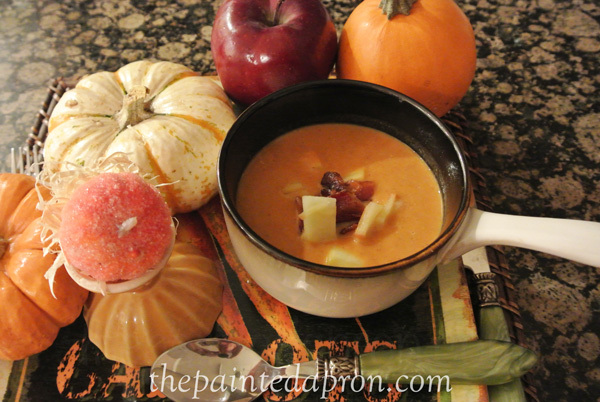 and use this yumminess to garnish your soup! 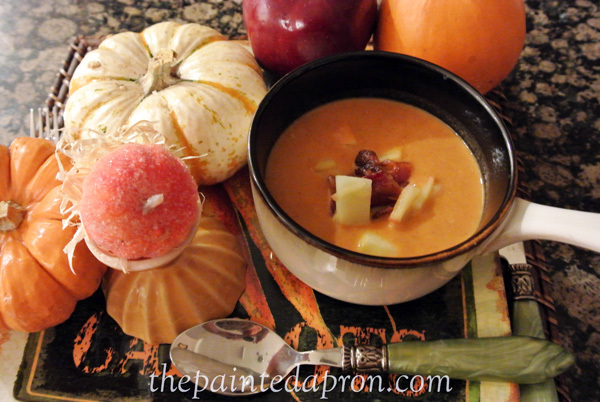 Especially delicious eaten at a table full of apples and pumpkins! 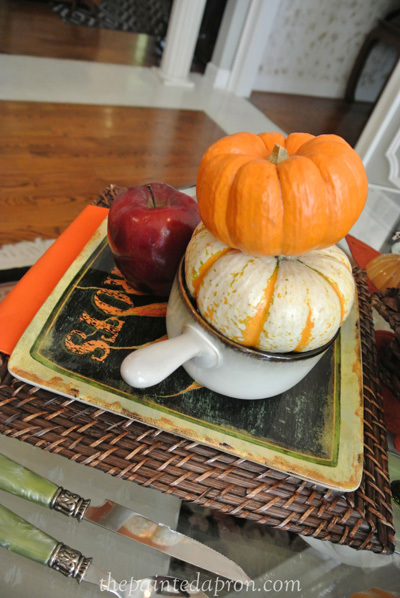 Simmer pumpkin with chicken broth and cream until hot. 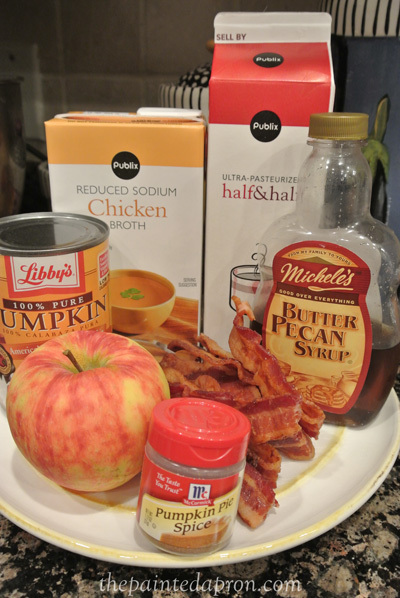 Add spice and maple syrup. Cook bacon until crisp and drain. 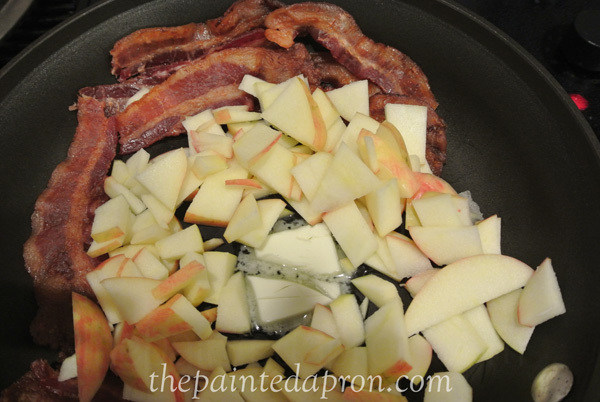 Saute chopped apple in bacon drippings or butter until soft. 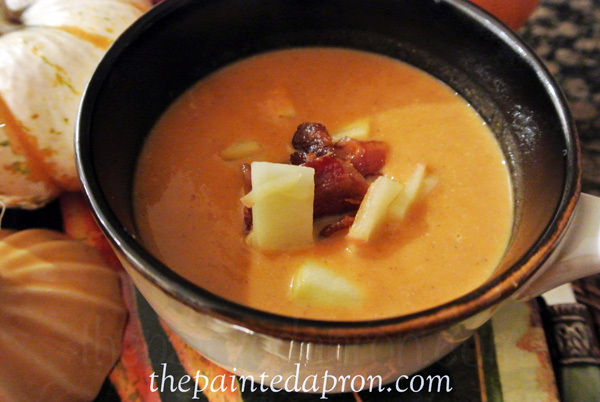 Serve soup topped with crumbled bacon and apples. 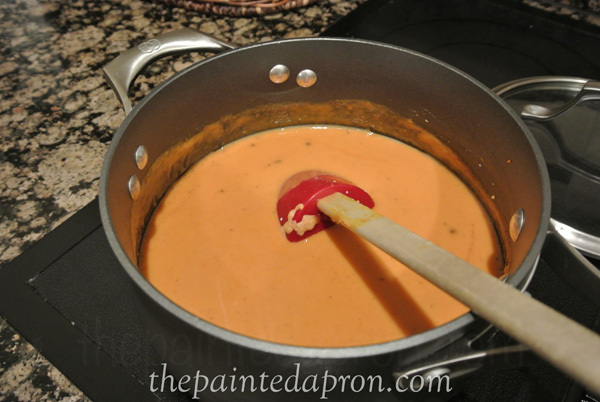 Makes 3-4 smallish servings. 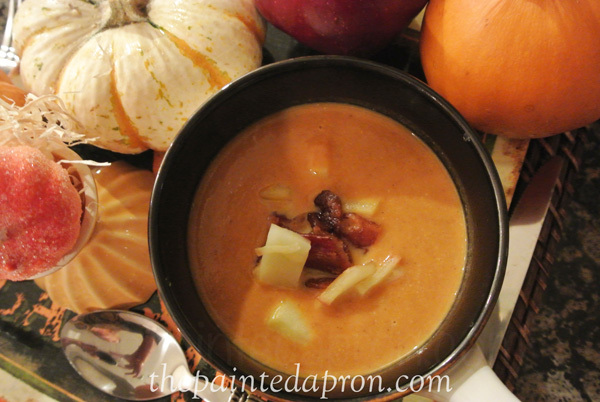 This soup is one the sweet side and pretty rich so a small bowl is recommended. This is my first time on your Beautiful Blog. Your food looks so Yummy and your Tablescape is Gorgeous also. 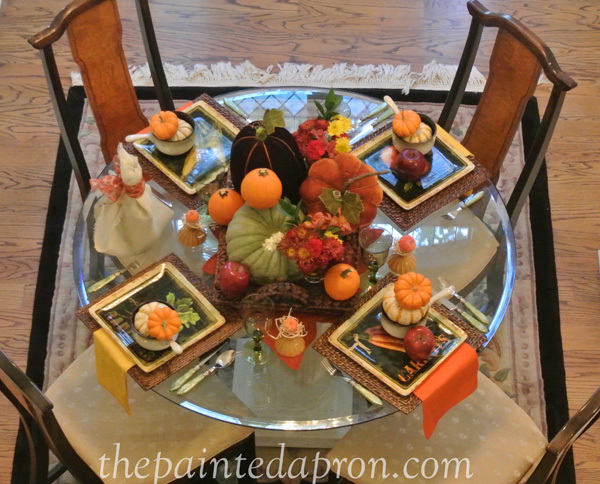 I hope you will come over and see my Tablescape for fall. 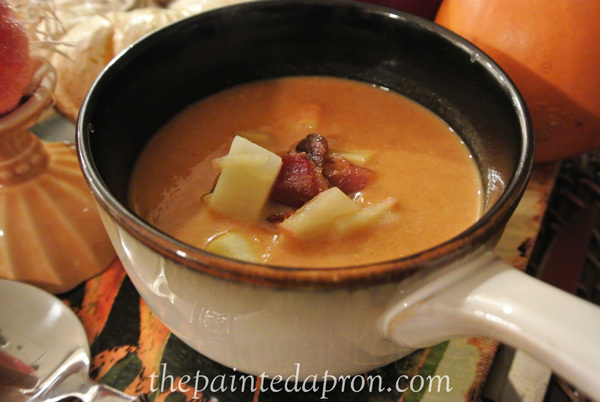 This is a great day for soup and this would be a delicious soup to enjoy. 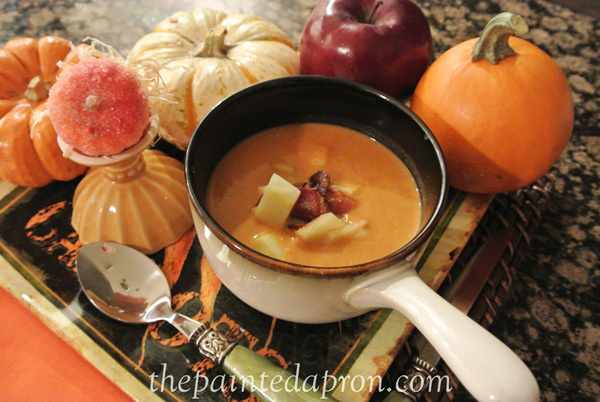 Hope you are having a great day and thank you so much for sharing with Full Plate Thursday! You’re so funny, we can probably figure it out. If everyone could figure it out, there would be no need of recipes! Wonderful to have you at Seasonal Sundays.